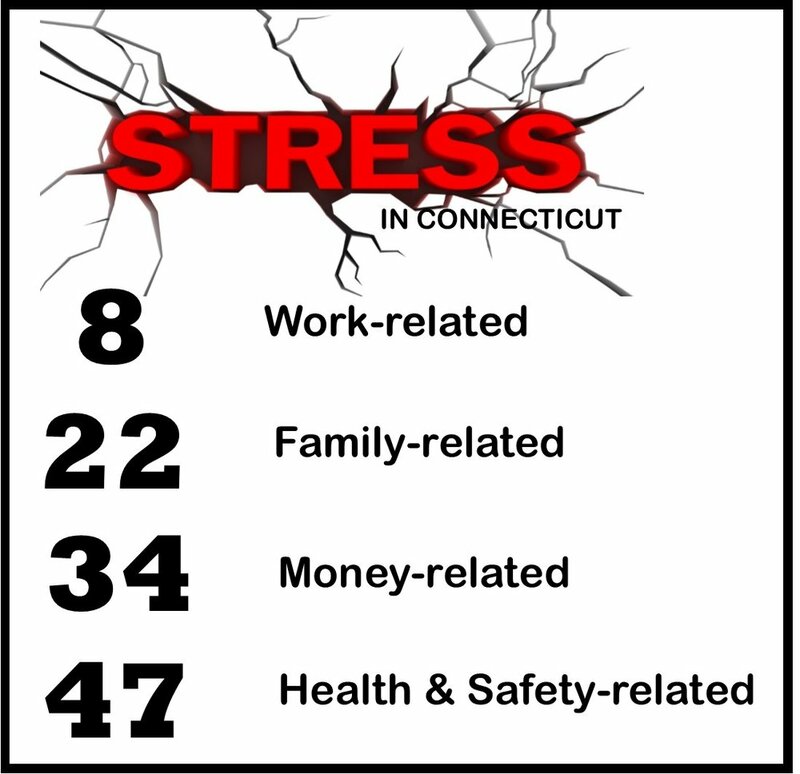 Work-related stress in Connecticut is more acute than in 42 other states, according to a new analysis, but health and safety related stress is lower here than in virtually every other state in the nation. The overall rankings place 30th among the “most stressed” states, but the four categories that were the focus of the research tell very different stories about what is “stressing out” state residents. Connecticut ranked #8 in work-related stress, #34 in money-related stress, #22 in family related stress and #47 in health & safety related stress. The analysis, by the financial website WalletHub, evaluated the four dimensions using 40 relevant metrics, ranging from the share of adults in fair or poor health and the separation and divorce rates to median income and average hours worked per week. The data review determined that the most stressed state is Louisiana, followed by Mississippi, Arkansas and Kentucky. Least stressed are Massachusetts, Utah and Minnesota. Connecticut was among the five states with the lowest percentage of adults in fair or poor health, which helped boost the state’s ranking in that category. "Connecticut ranks among the least stressed states. The state's residents have shorter work weeks than most, their debt per median earnings is the fourth lowest in the country, and almost half are able to save for their children's college. Additionally, just 10% of its population is living in poverty, the third lowest share nationwide, explained WalletHub analyst Jill Gonzalez. “In terms of health and safety, Connecticut does not have too many reasons to stress. Less than 14% of its residents report being in poor health, the state's suicide rate is very low, and only about 12% of adults report not being able to afford seeing a doctor. Plus, Connecticut has one of the lowest crime rates per capita."